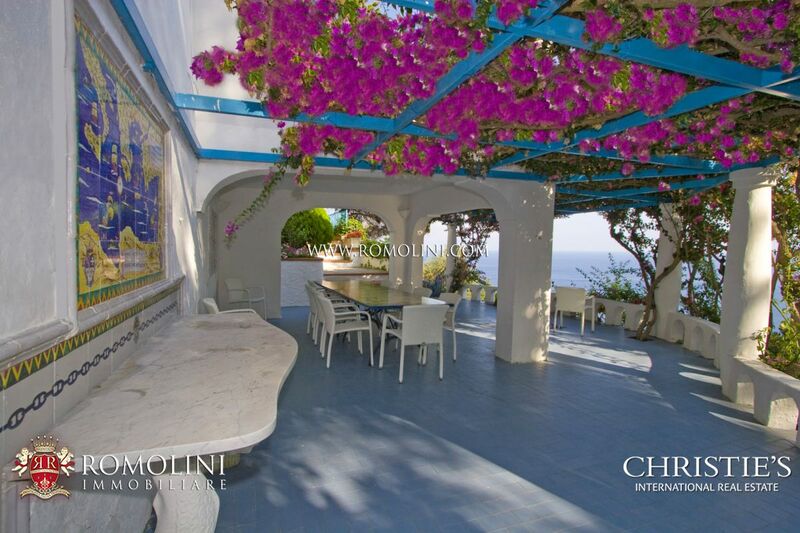 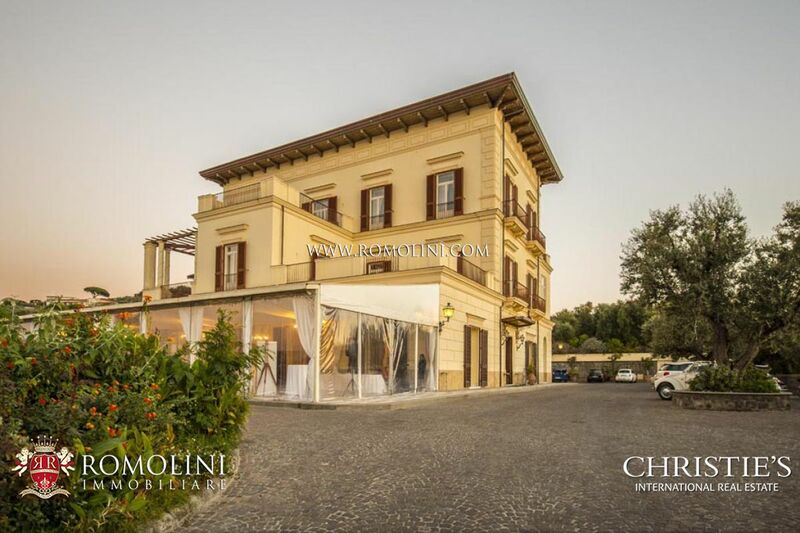 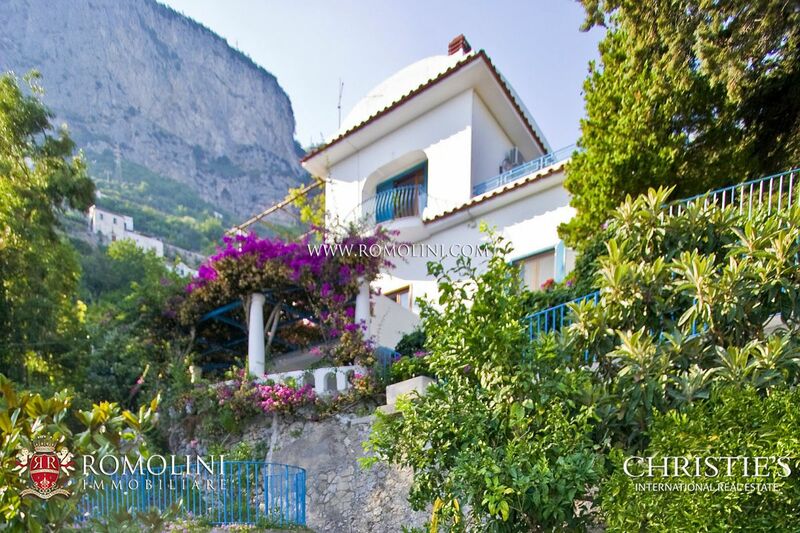 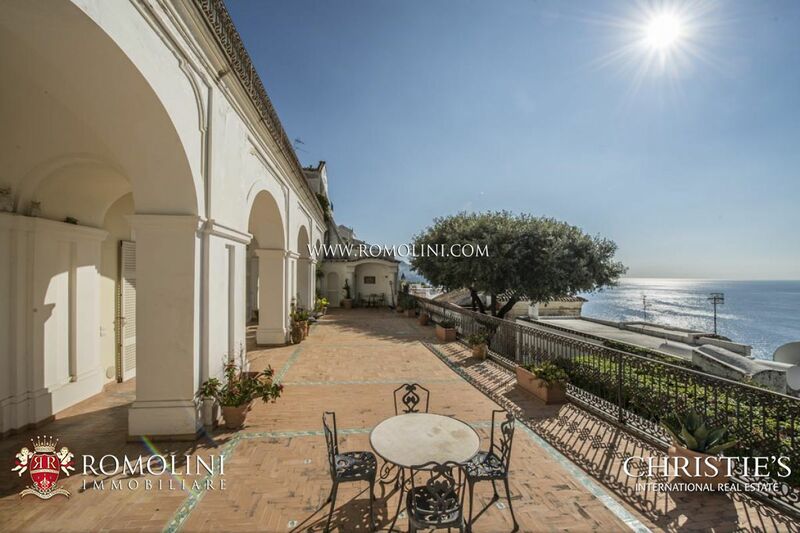 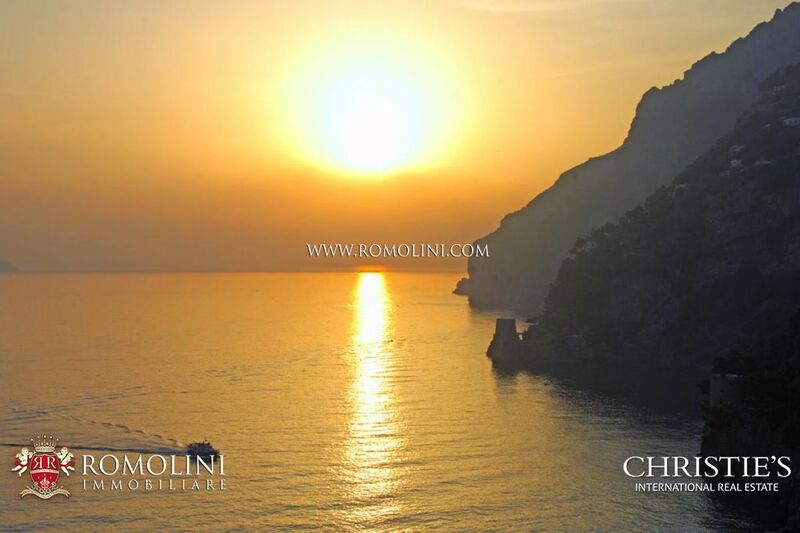 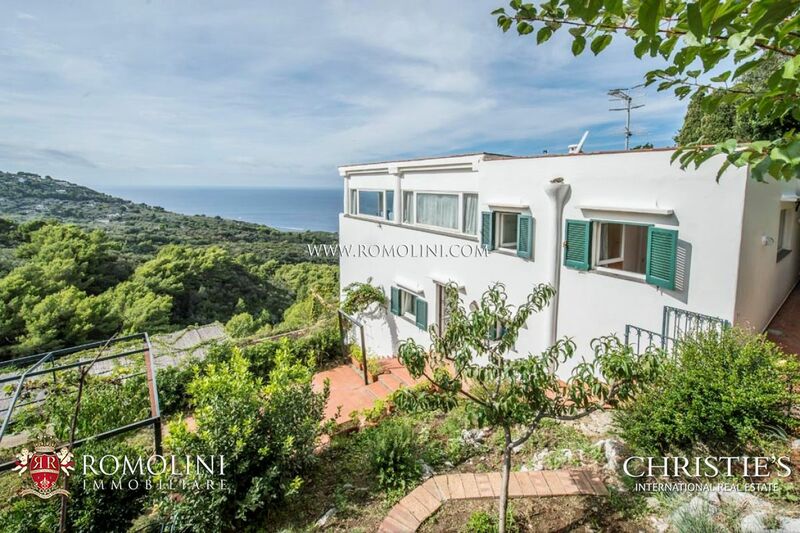 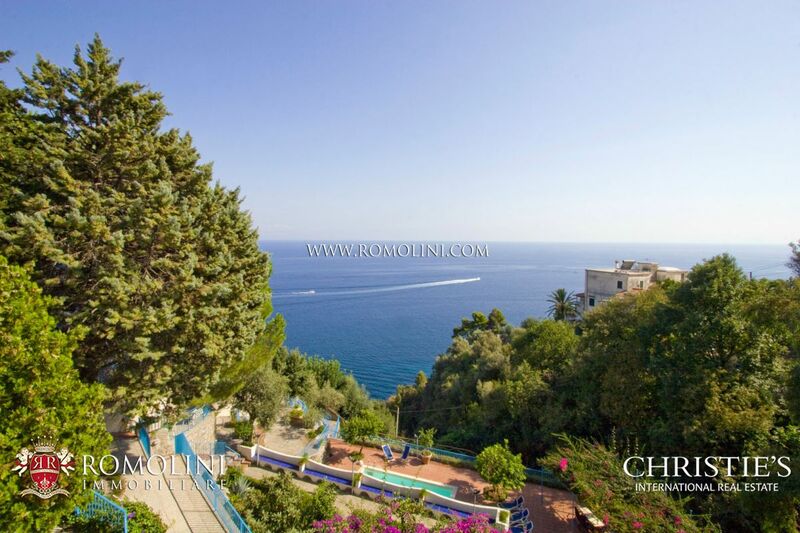 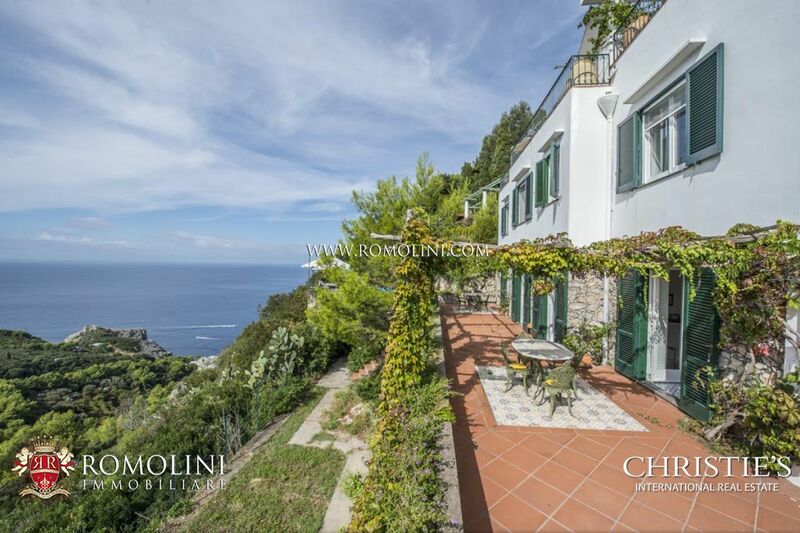 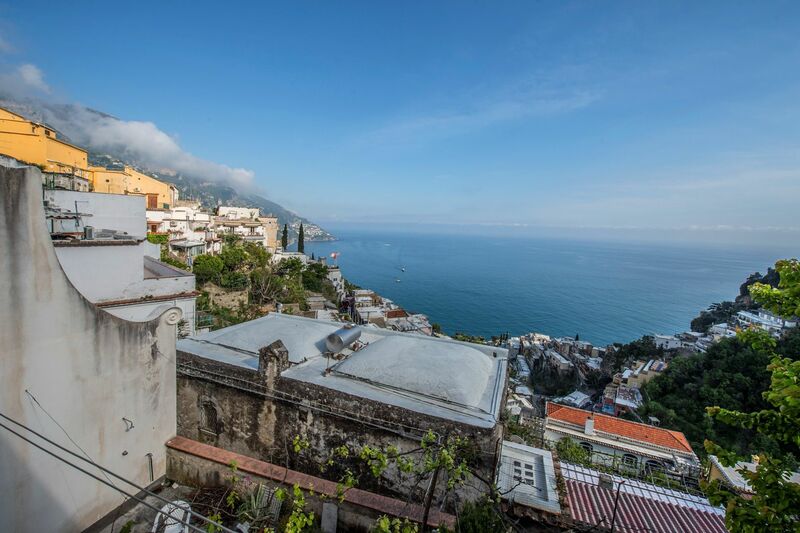 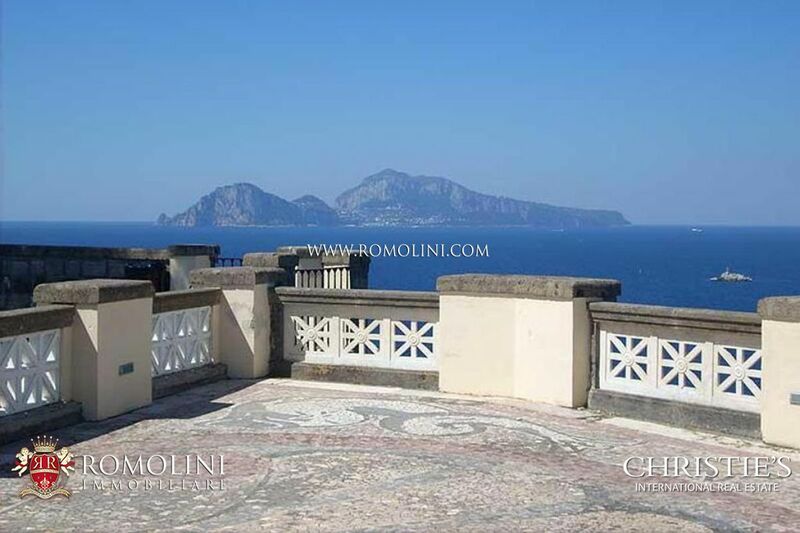 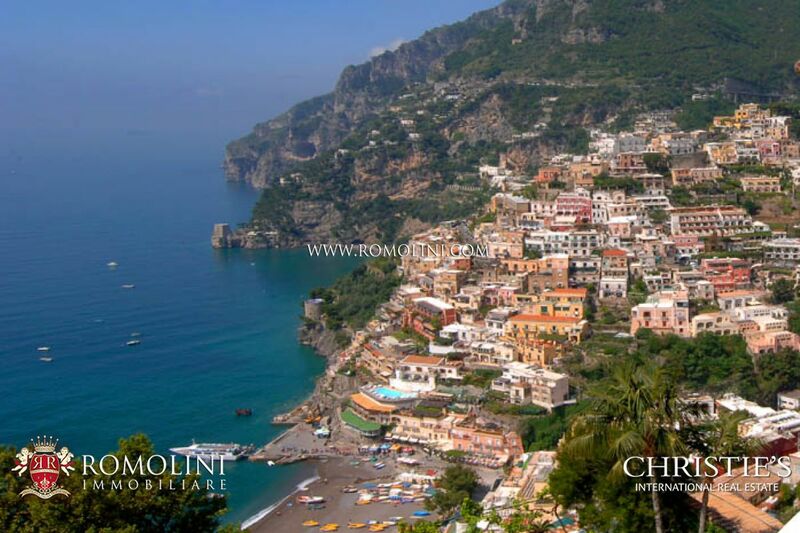 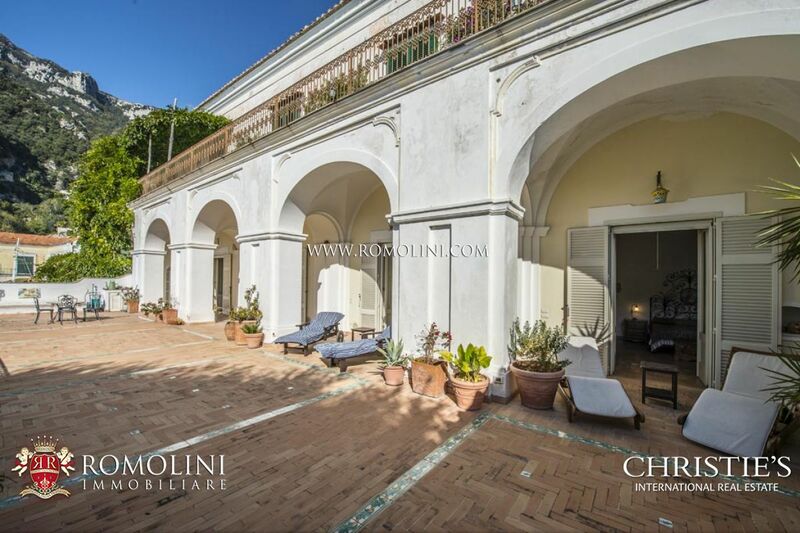 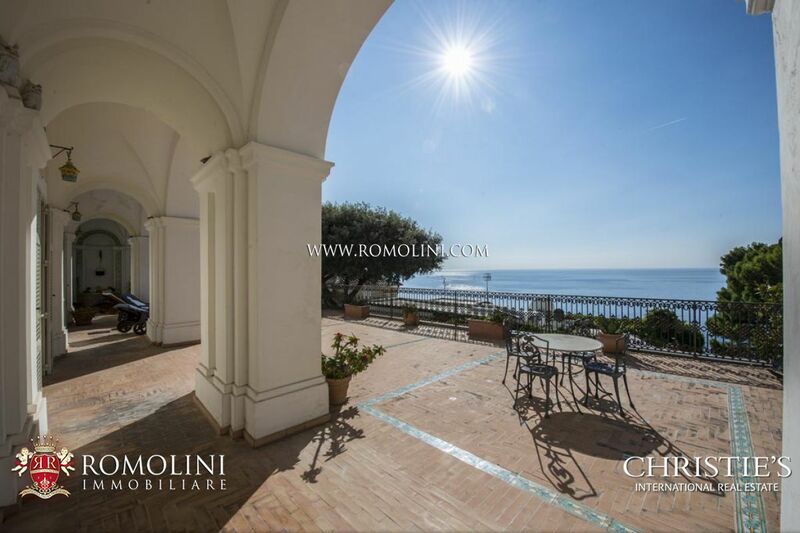 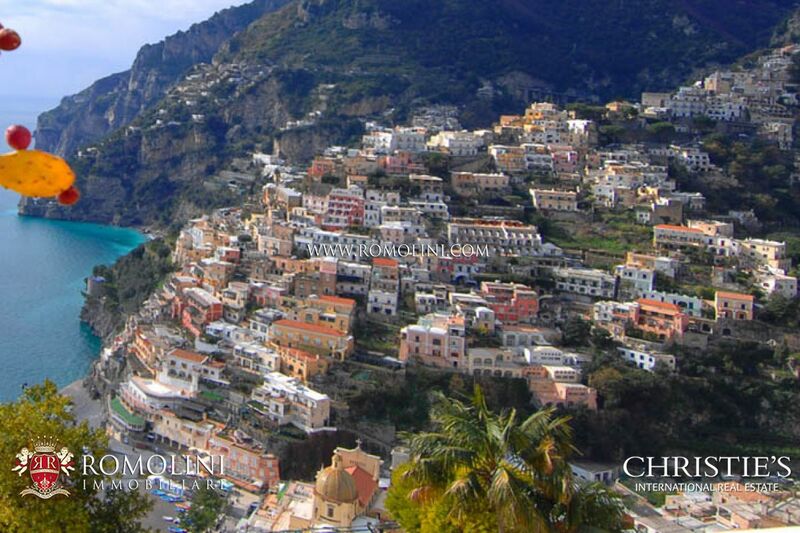 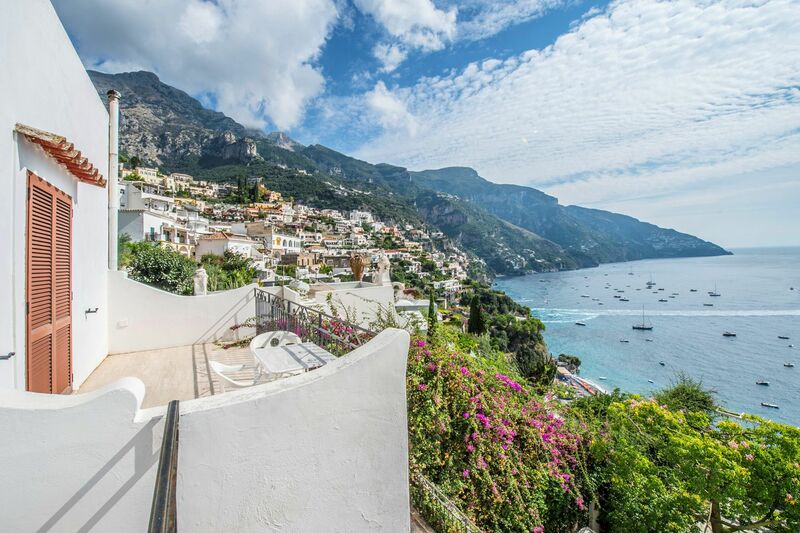 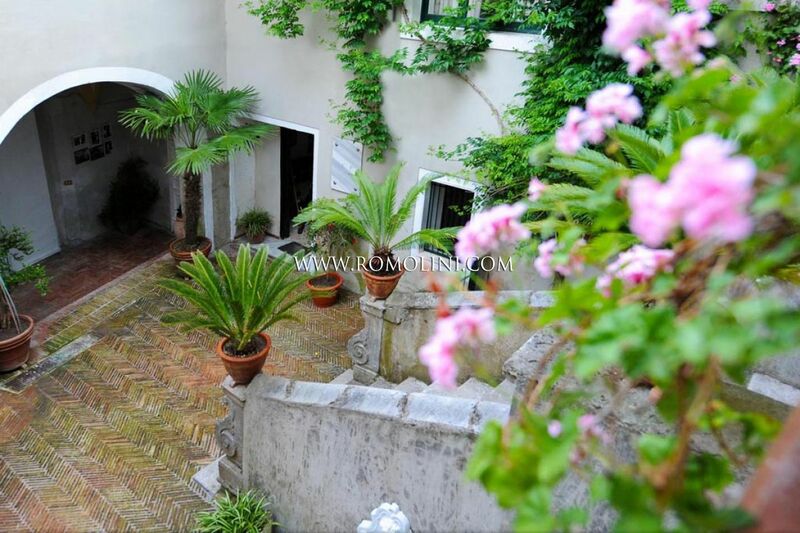 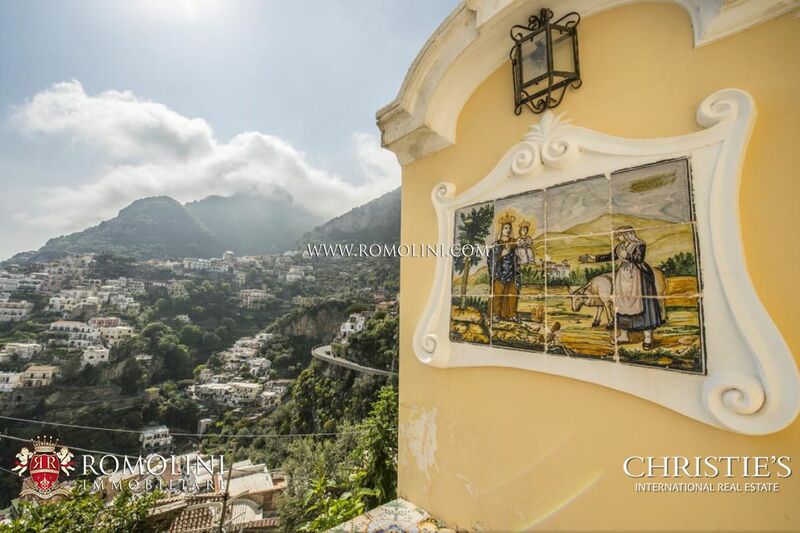 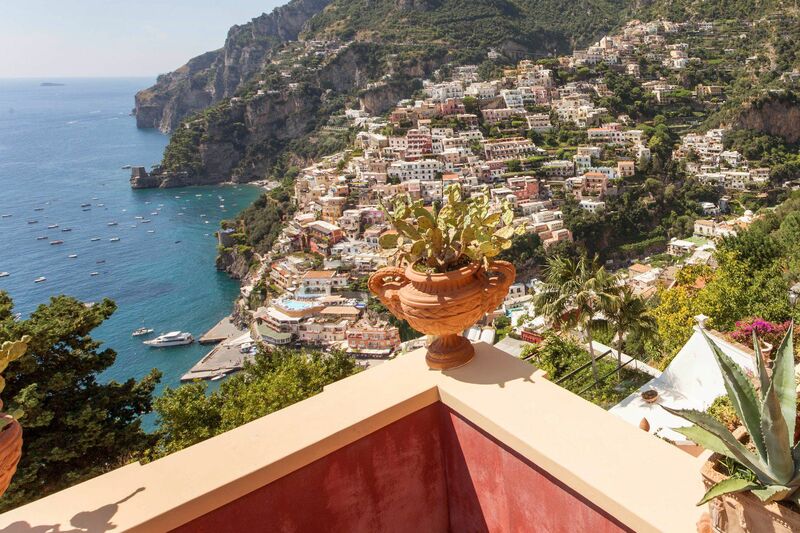 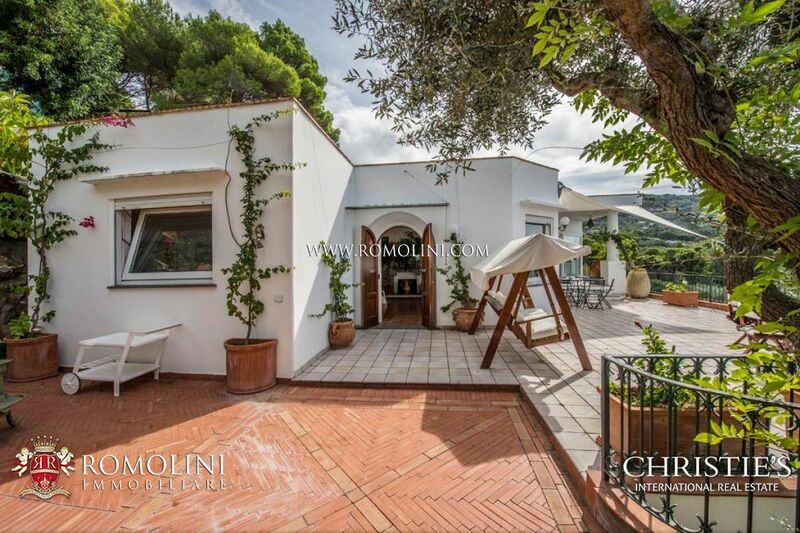 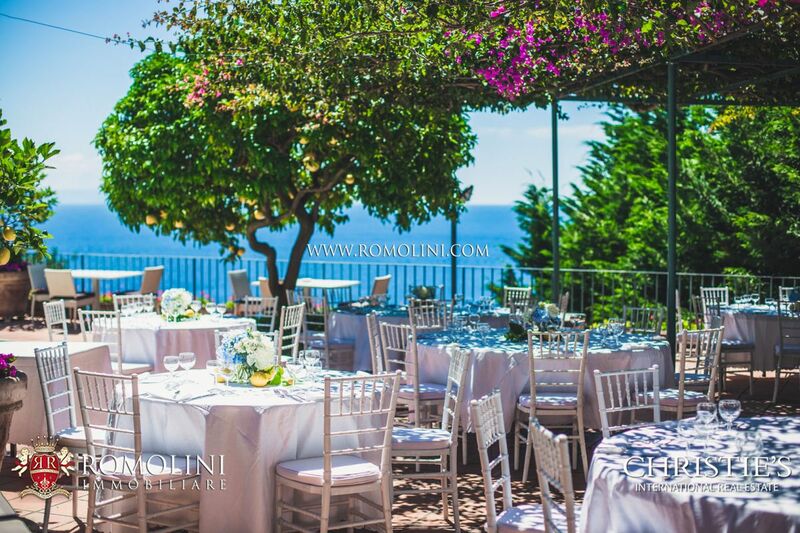 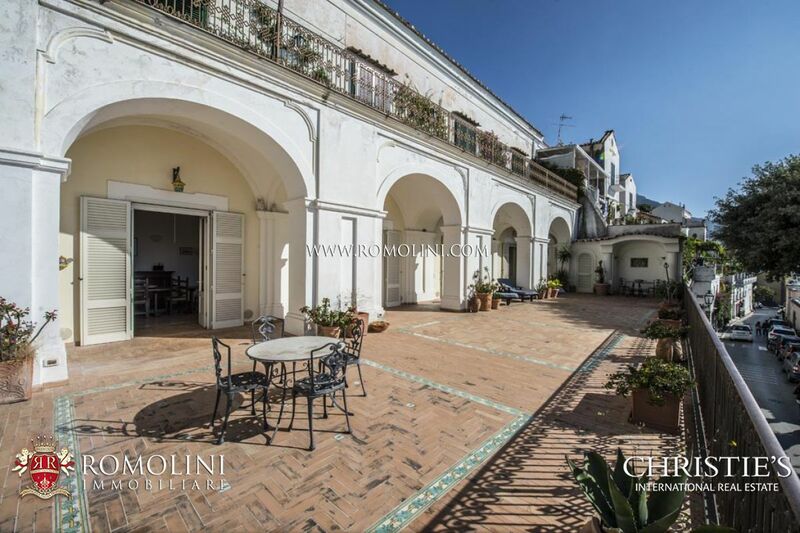 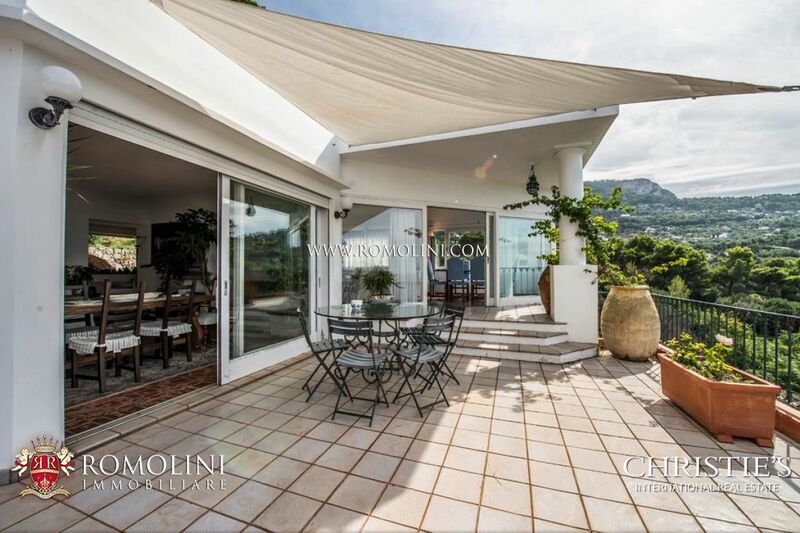 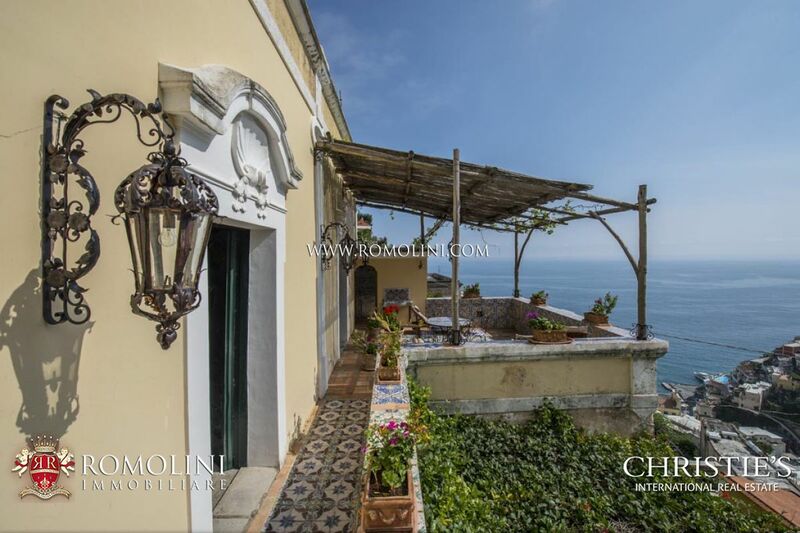 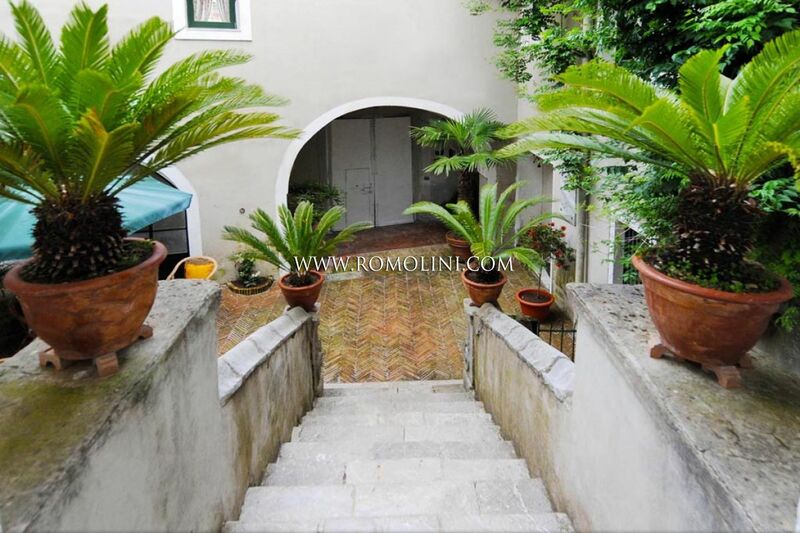 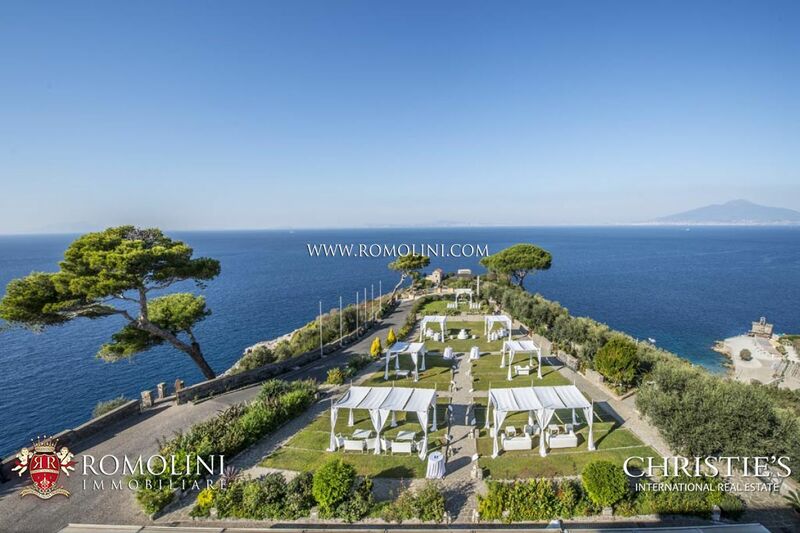 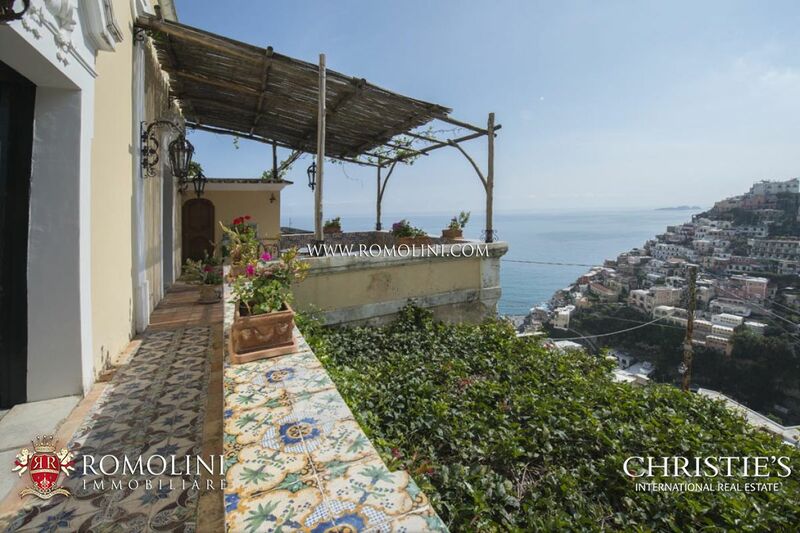 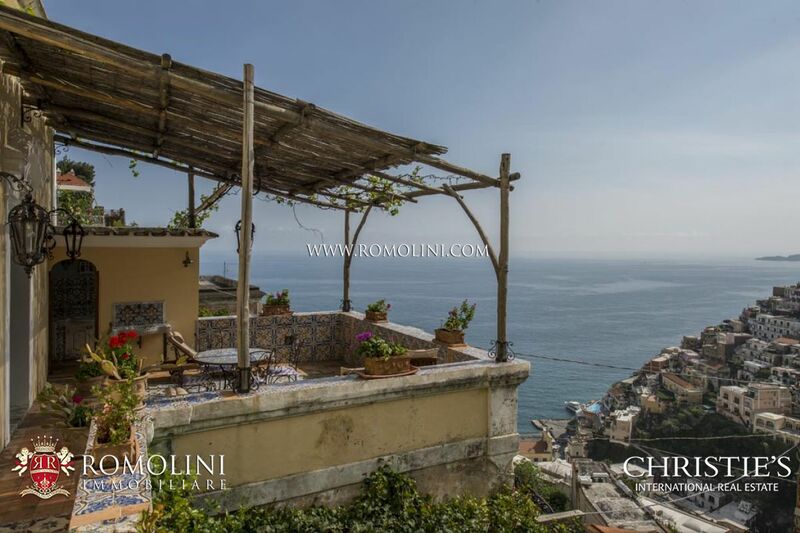 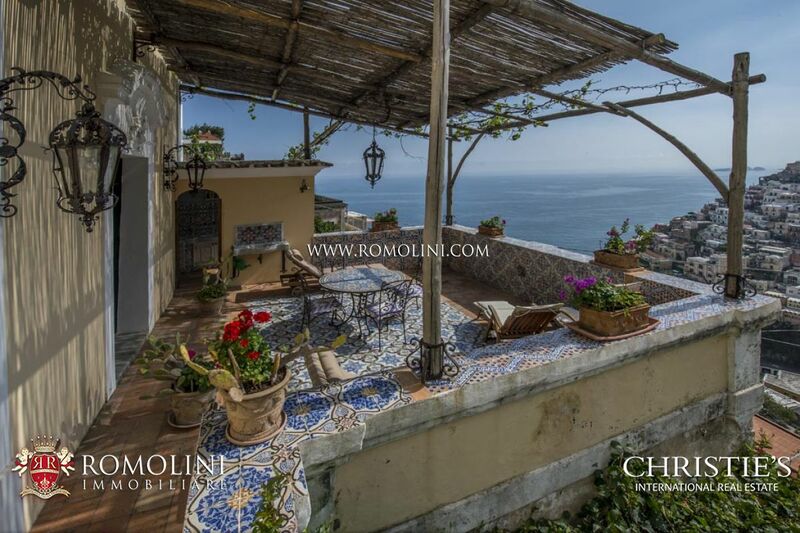 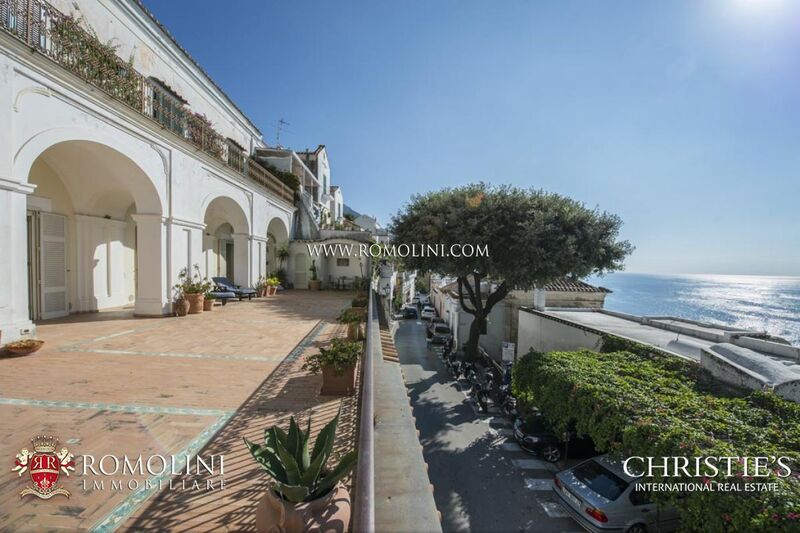 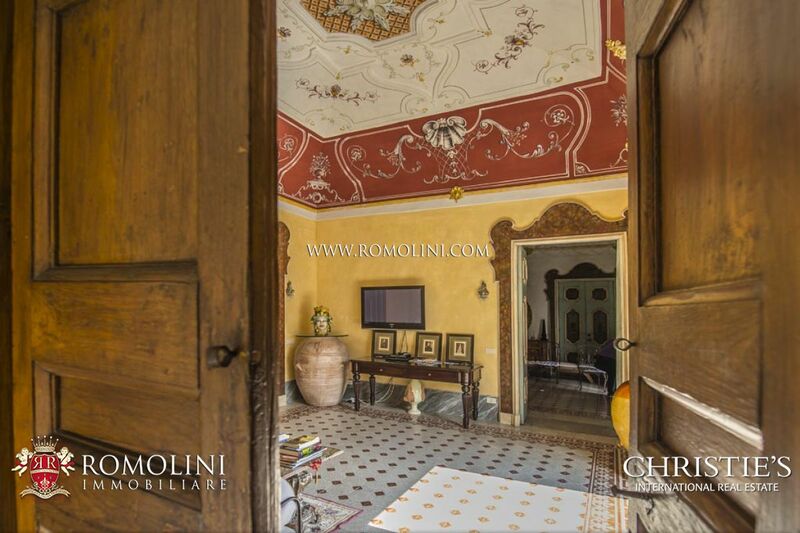 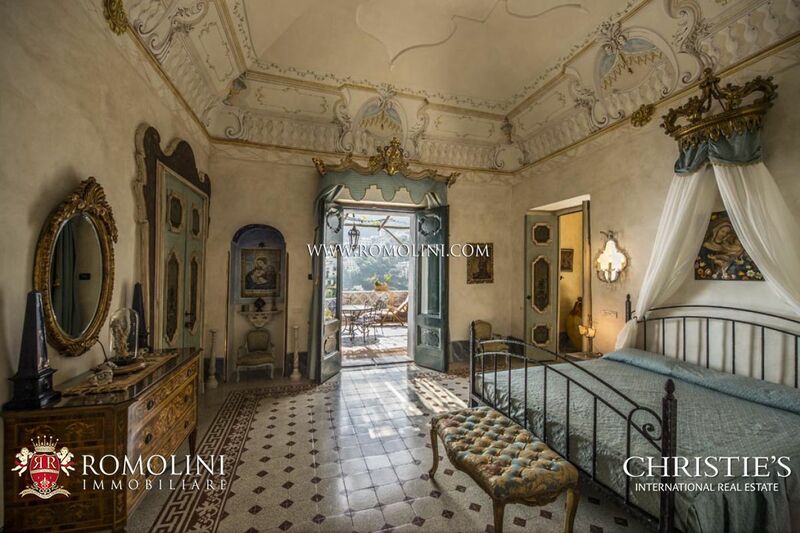 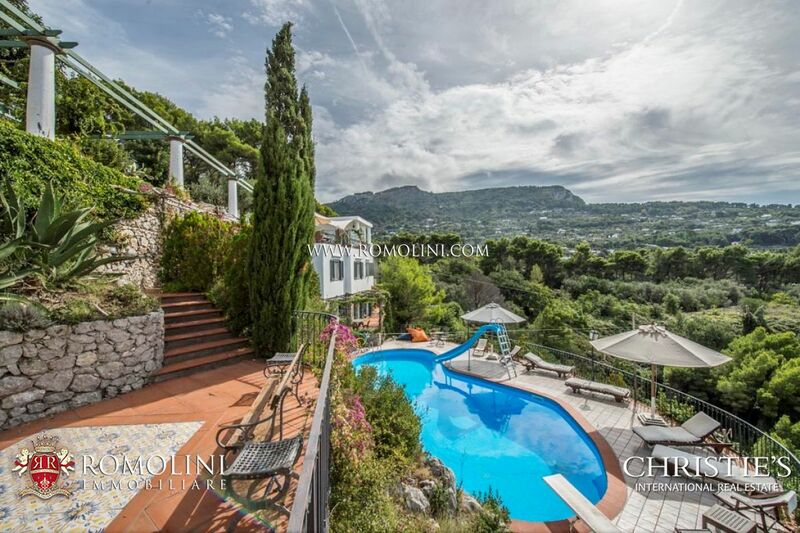 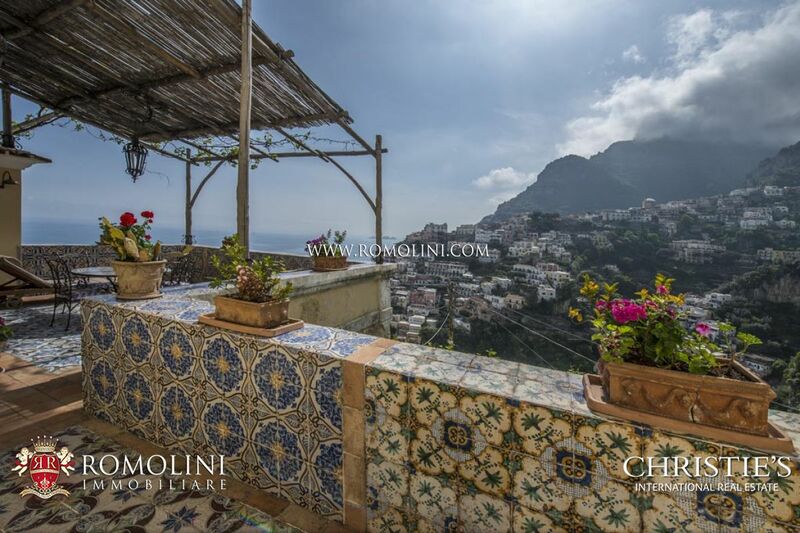 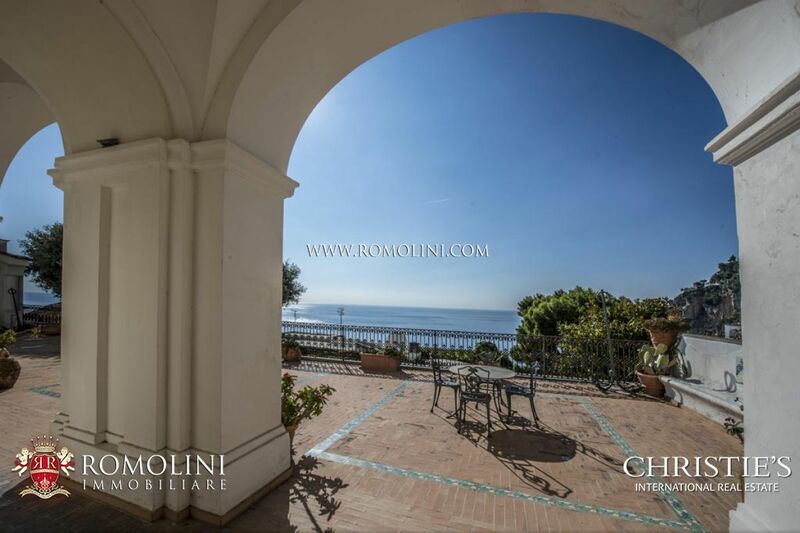 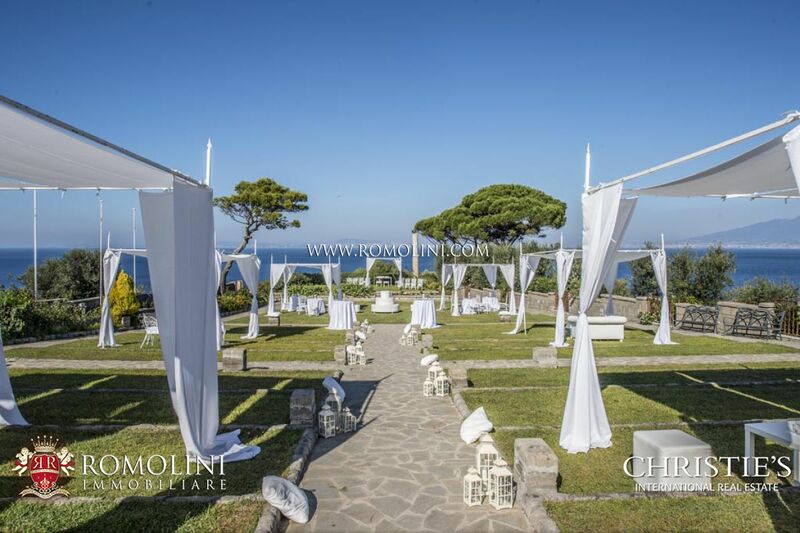 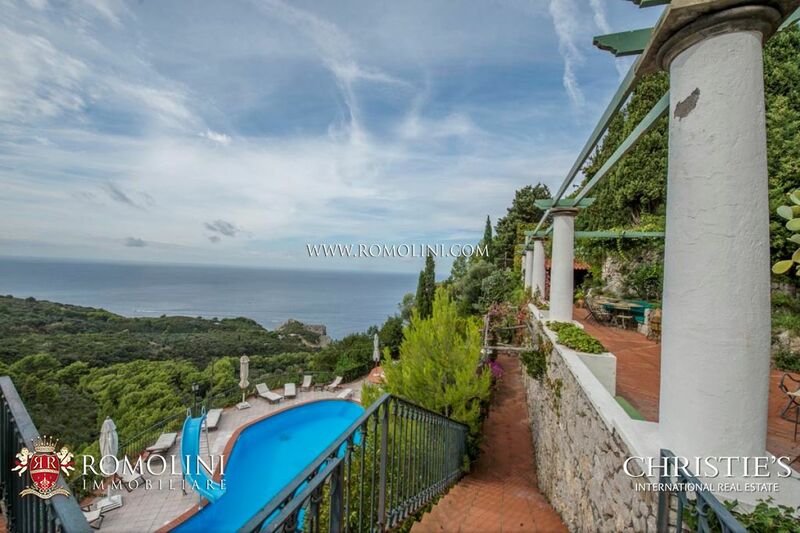 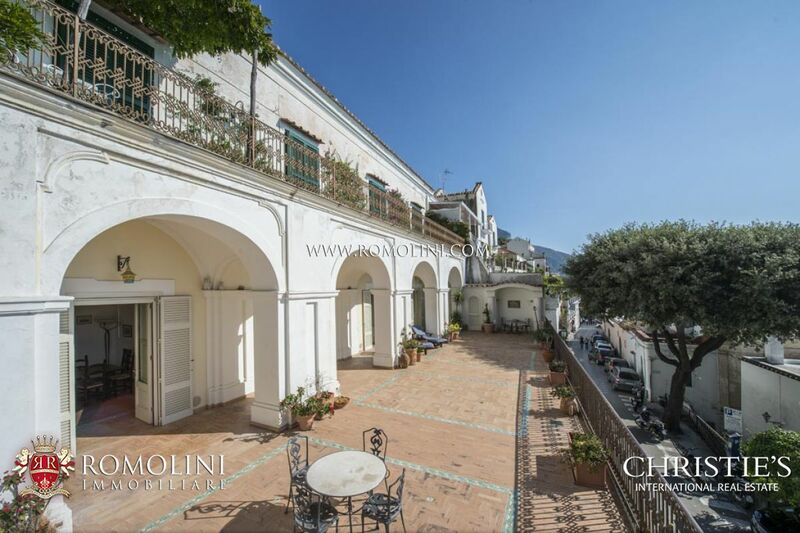 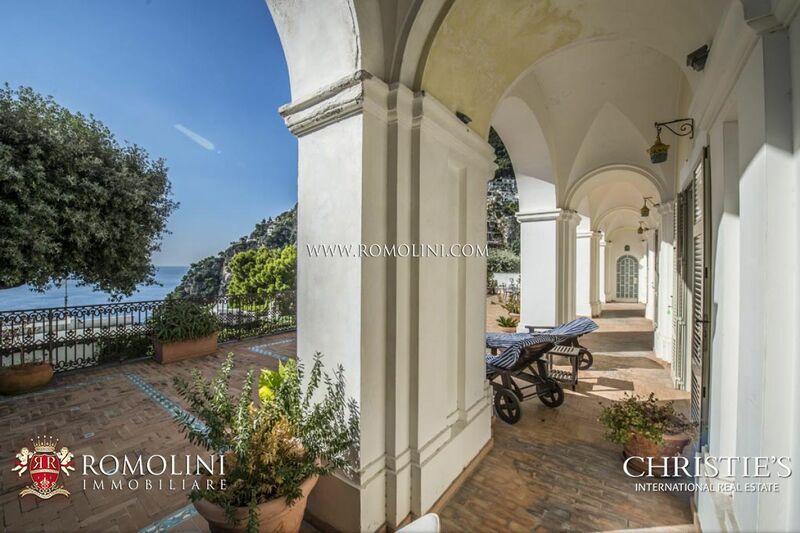 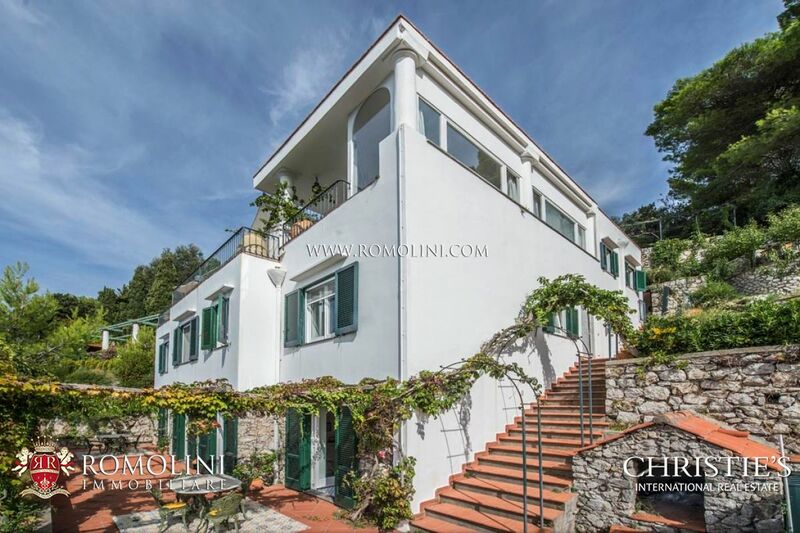 If you are looking for a property to purchase on the Amalfi Coast, Real Estate Agency Romolini Immobiliare Christie’s International Real Estate offers prestigious apartments and exclusive villas for sale on the Amalfi coast. 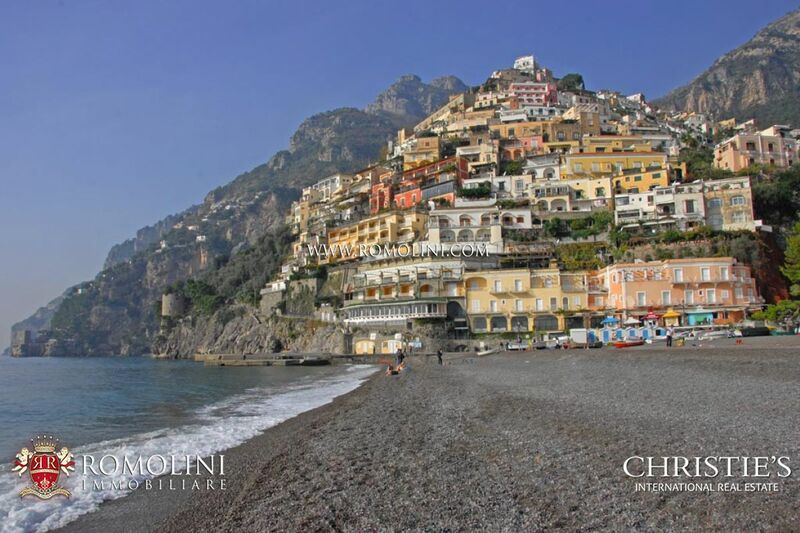 Stretch of coastline on the southern coast of Italy, Amalfi Coast attracts thousands of tourists thanks to its mountains plunging into the sea. 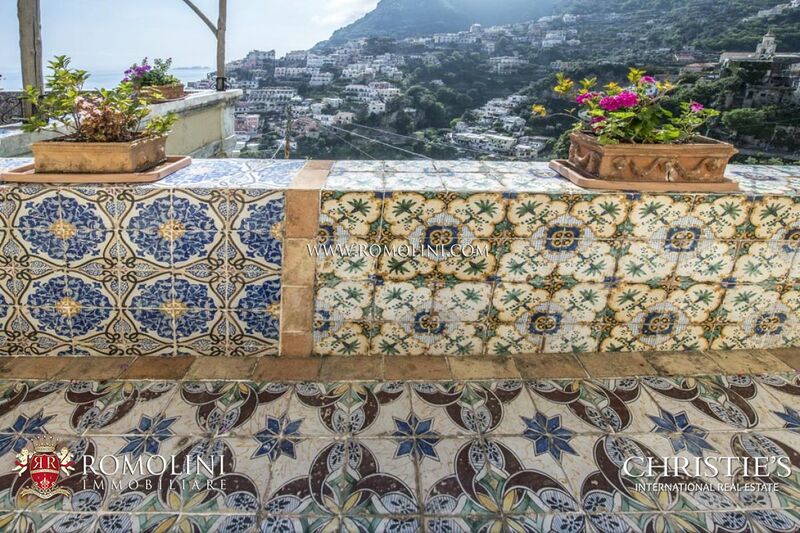 Listed as a UNESCO World Heritage Site, the Amalfi Coast includes picturesque towns, like Positano, Amalfi, Praiano and Ravello. 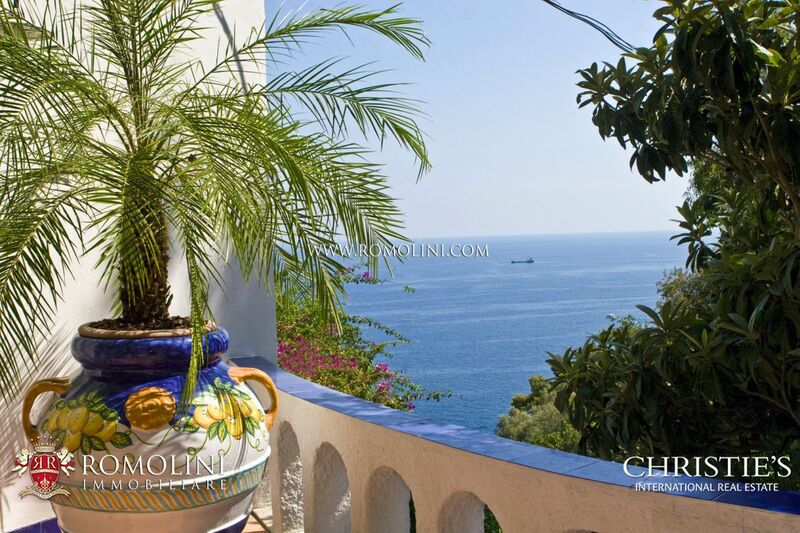 In this prestigious atmosphere, there are sea views apartments and luxury villas with direct access to the beach on sale. 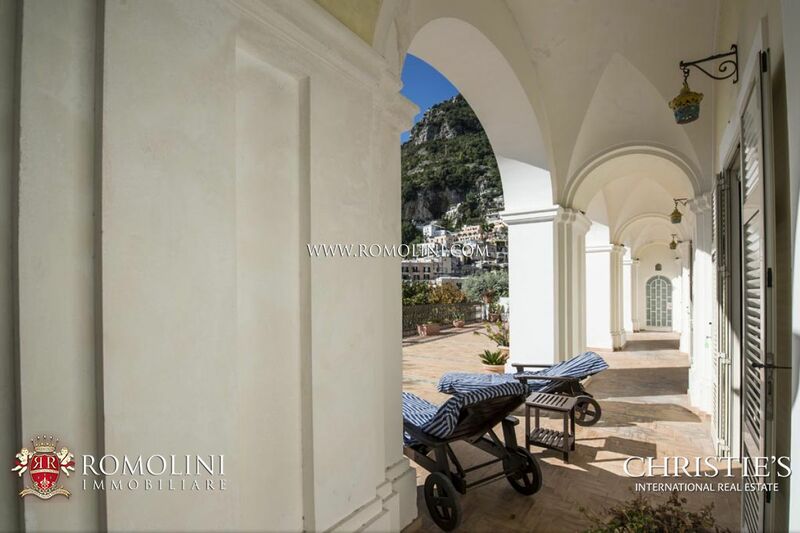 On the Amalfi Coast, in a charming sea view location in the centre of Positano, two-bedroom apartment with panoramic terrace and garage. 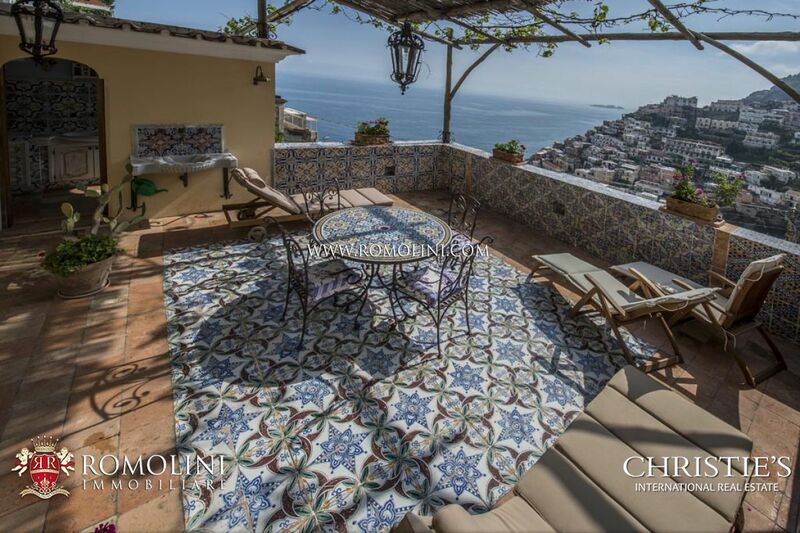 Paved with terracotta tiles with inlaid handmade majolica tiles, it is composed of a living room, a dining room, a kitchen with closet, a toilet, two bathrooms, two bedrooms and a laundry. 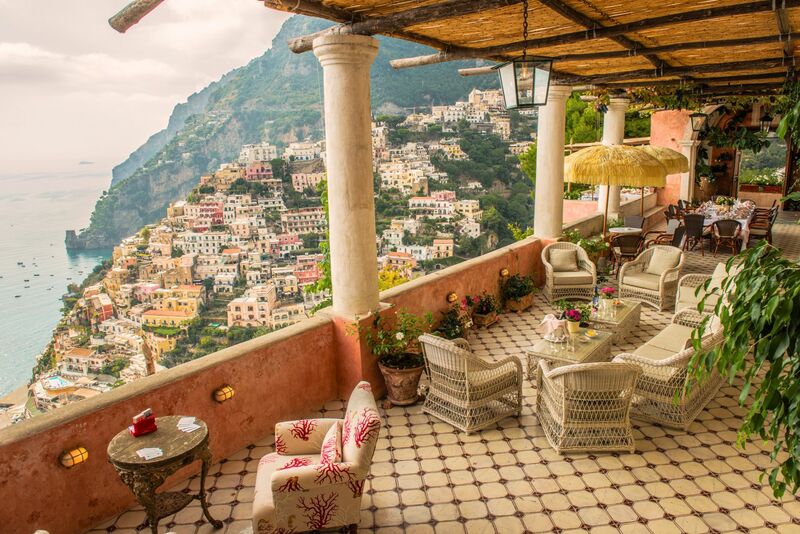 All the rooms have direct access to the 250-square metre terrace with arched porch, ideal for alfresco dining. 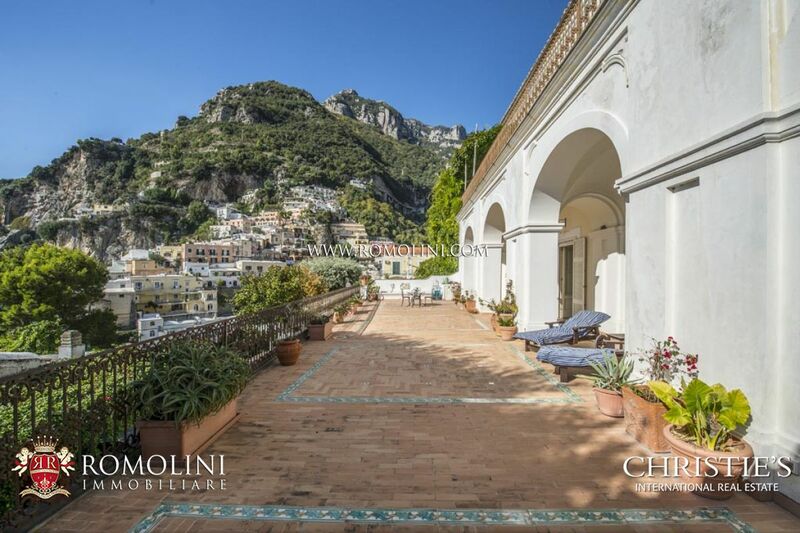 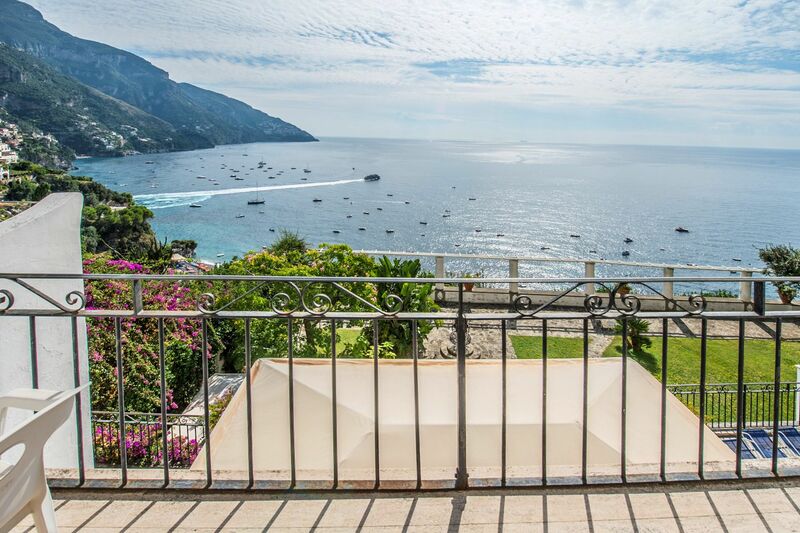 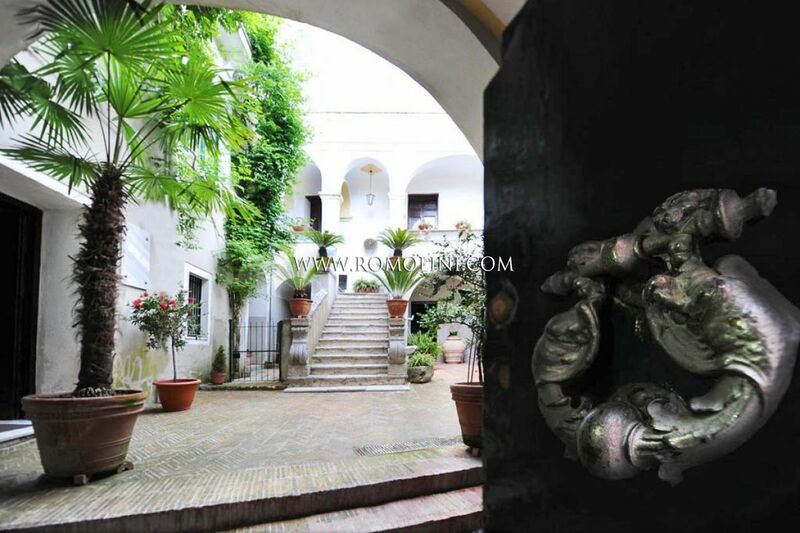 In a stunning position in the heart of the Amalfi Coast, in Positano, prestigious Neapolitan Baroque style apartment boasting high frescoed ceilings and colourful majolica decorations. 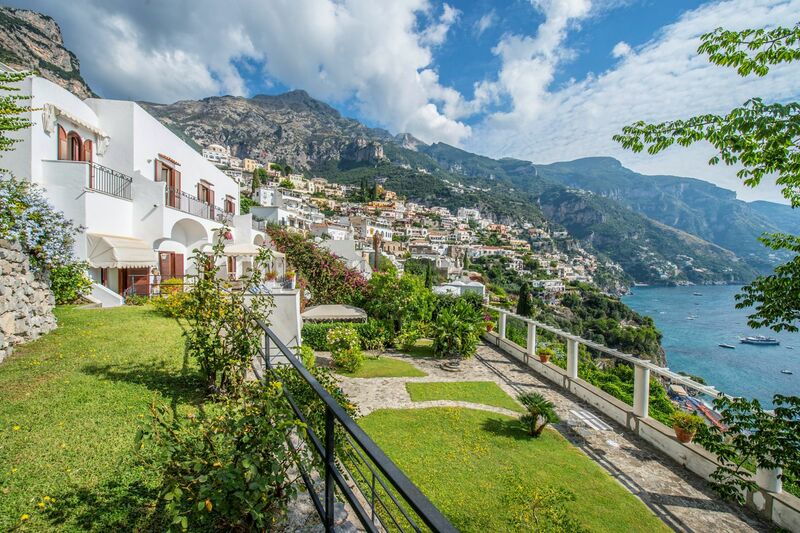 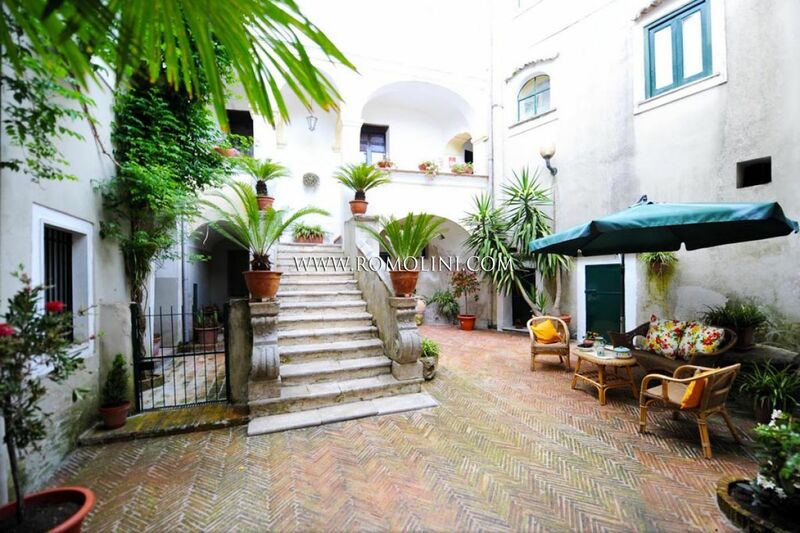 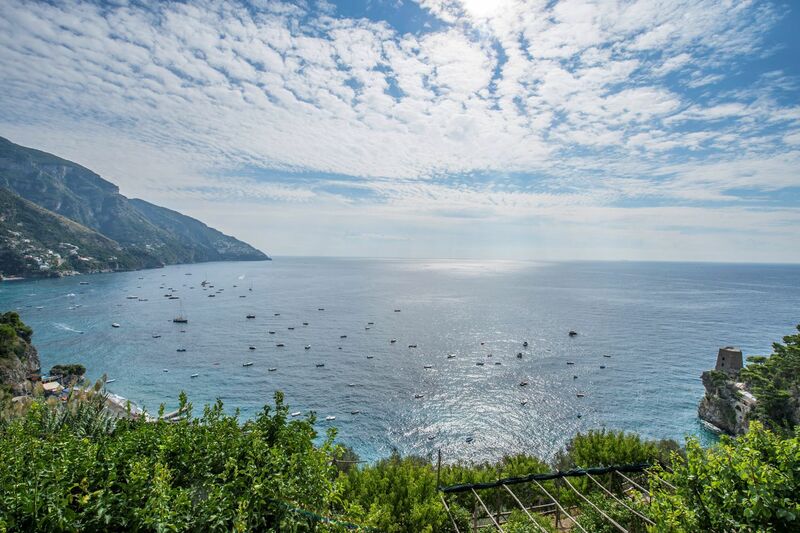 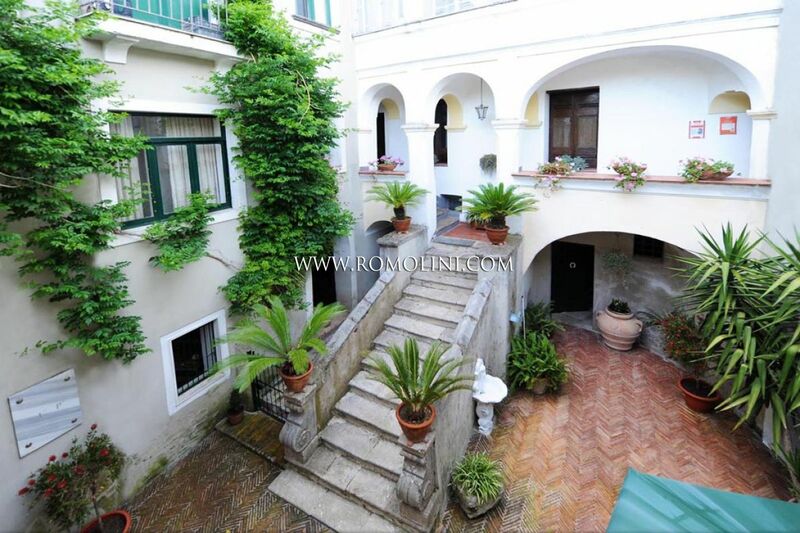 Easily reachable both by car and on foot, the property is well linked through public transport to the nearest towns, like Amalfi and Sorrento. 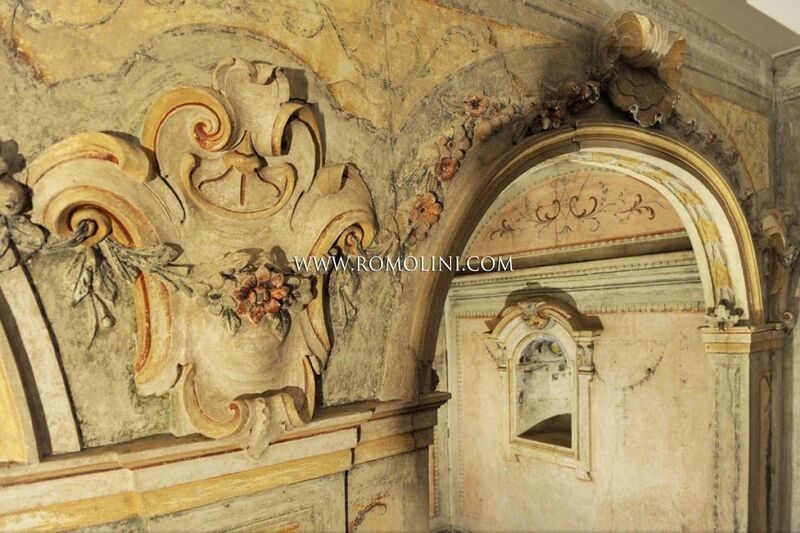 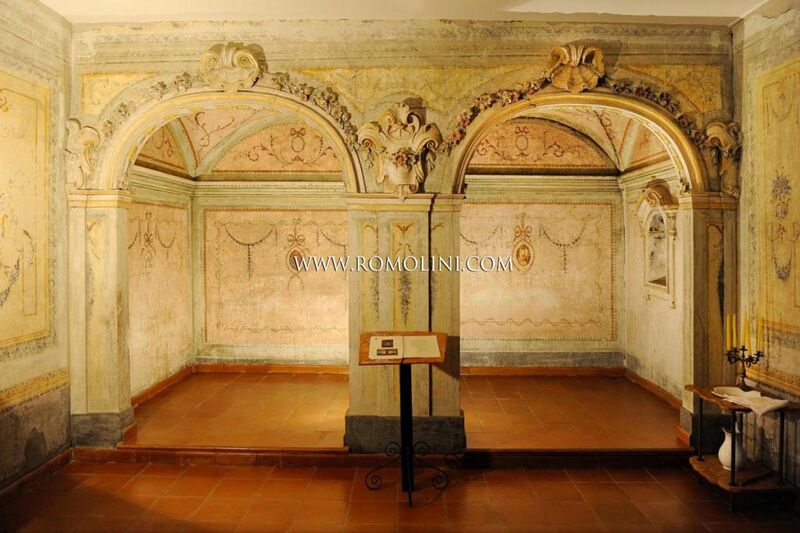 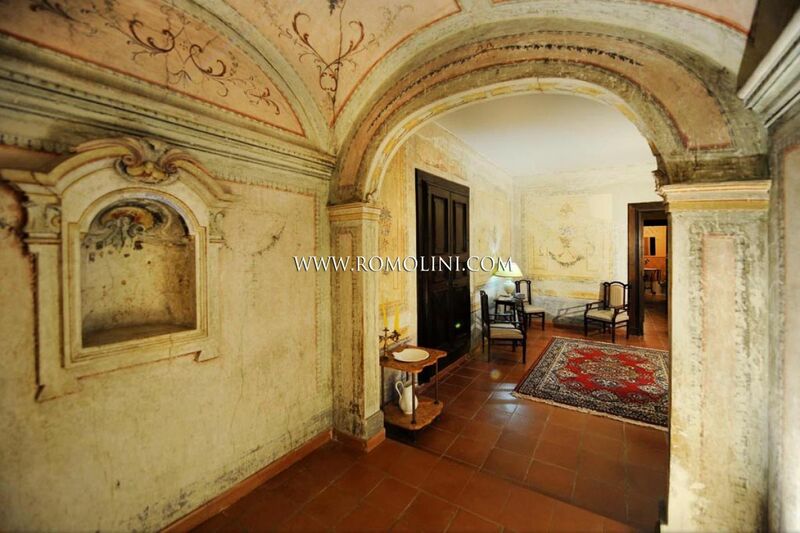 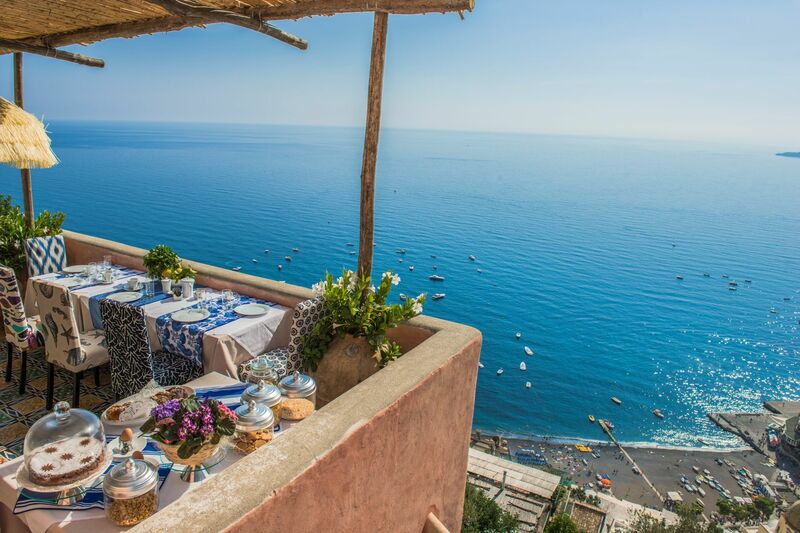 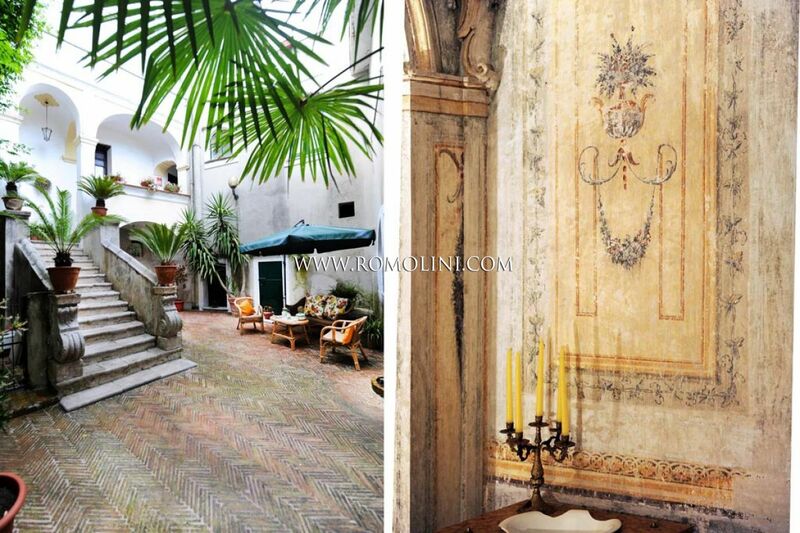 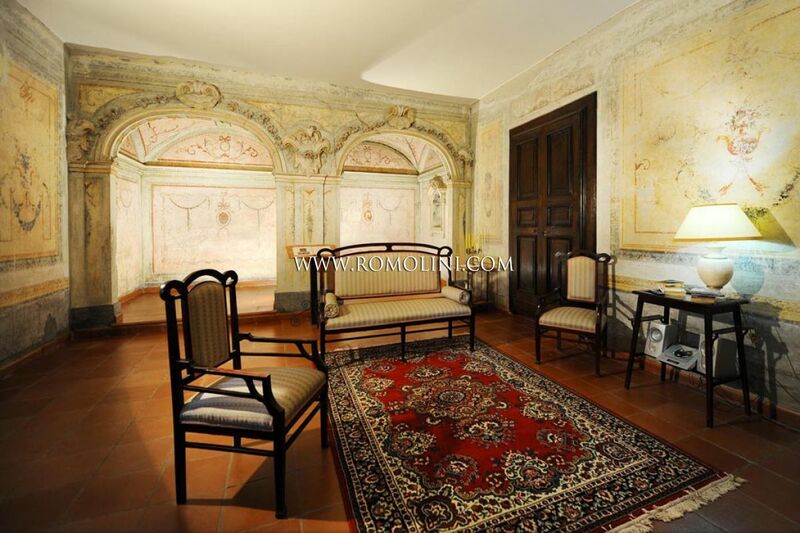 This exclusive two-bedroom apartment features a sea view terrace, decorated with original majolica.